From one of the country's most recognizable journalists: How becoming a grandmother transforms a woman's life. After four decades as a reporter, Lesley Stahl's most vivid and transformative experience of her life was not covering the White House, interviewing heads of state, or researching stories at 60 Minutes. It was becoming a grandmother. She was hit with a jolt of joy so intense and unexpected, she wanted to "investigate" it—as though it were a news flash. And so, using her 60 Minutes skills, she explored how grandmothering changes a woman's life, interviewing friends like Whoopi Goldberg, colleagues like Diane Sawyer (and grandfathers, including Tom Brokaw), as well as the proverbial woman next door. Along with these personal accounts, Stahl speaks with scientists and doctors about physiological changes that occur in women when they have grandchildren; anthropologists about why there are grandmothers, in evolutionary terms; and psychiatrists about the therapeutic effects of grandchildren on both grandmothers and grandfathers. Throughout Becoming Grandma, Stahl shares stories about her own life with granddaughters Jordan and Chloe, about how her relationship with her daughter, Taylor, has changed, and about how being a grandfather has affected her husband, Aaron. 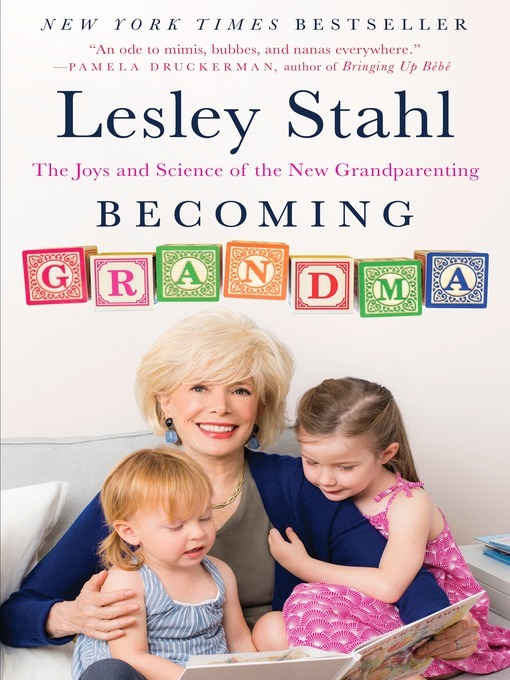 In an era when baby boomers are becoming grandparents in droves and when young parents need all the help they can get raising their children, Stahl's book is a timely and affecting read that redefines a cherished relationship.